Two contaminants in processed oils that are coming under greater scrutiny are 3-monochloropropane-1,2-diol (3-MCPD) and glycidol esters (GE). These compounds are formed in oil when refined at high temperatures (>150oC). Refining is necessary for food oils to ensure safety and palatability. Unfortunately, it also can trigger the formation of 3-MCPD and GE which have been found to have harmful carcinogenic and mutagenic effects. The European Food Safety Authority (ESFA) is leading the charge in assessing the risks associated with 3-MCPD and GE and has recently advised on safe intake levels in oils and some food products through their expert panel on contaminants which first assessed the potential risks of 3-MCPD in 2016. The knowledge around 3-MCPD and GE is growing, and other countries are probably going to follow Europe’s lead in 3-MCPD and GE testing. Presently, New Zealand oil refiners and food producers need to send their samples abroad to be tested for 3-MCPD and GE. 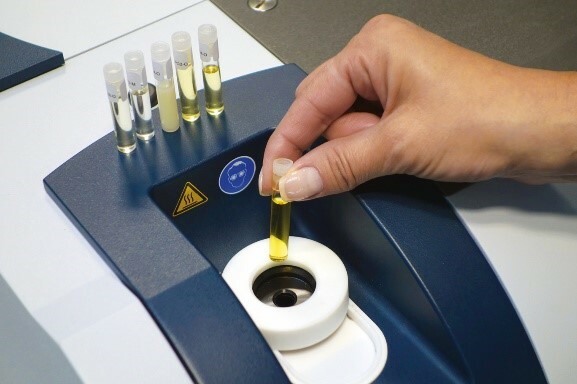 Cawthron Institute in Nelson has developed a testing method based on the German Society for Fat Science’s methods (DGF Standard Methods, Section C-Fats, C-VI 18 (10) and AOCS (AOCS Cd 29c-13) to determine 3-MCPD and GE in oil. Cawthron uses gas chromatography with mass spectroscopy detection (GCMS) to determine total 3-MCPD in its esterified and free forms and for the indirect determination of glycidyl esters. This will significantly reduce the time taken for samples to be assessed and means that Cawthron can work directly with local companies to meet their analytical needs. If you want to know more about 3-MCPD and GE testing please contact Dr Matt Miller at Cawthron Institute (matt.miller@cawthron.org,nz) . 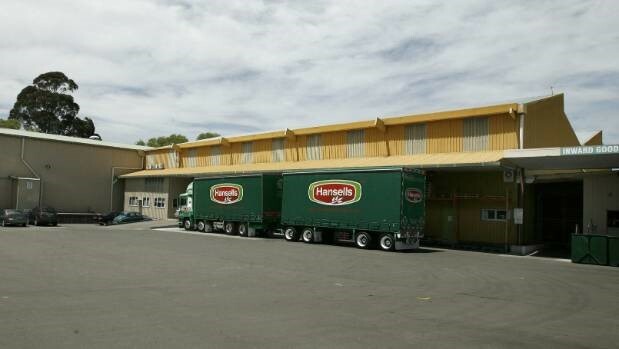 Hansells is an old New Zealand company that has been manufacturing baking ingredients since 1934. It manufactures its products at three sites, Penrose and New Lynn in Auckland, and Masterton. It has factories in Australia and the UK. The name Hansells comes from the co-founders L B Maunsell and Mr Hansen. Mr Hansen, who was a chemist, did not last long in the firm and it is believed he was shipped back to Australia on a bigamy charge. Hansells is best known for flavour essences, but other products include food colouring, gravy browning, drinking chocolate, drink powders, pancake mixes, baking goods and mousse. Hansells and its various brands were acquired by Old Fashioned Foods Group on 2006. It is like déjà vu for those of us involved years ago with Chefade and other frying fats. Geoff Webster a long-time member of the group was so experienced in frying that he was known as “The Frying Doctor”. For reference see Eyres: “Tallow is the ideal frying fat! !, Food Industry, December 1986”. Analysis of the results showed that compared with people not consuming eggs, daily egg consumption was associated with a lower risk of CVD overall and a 26% lower risk of stroke. The authors concluded: “The present study finds that there is an association between moderate level of egg consumption (up to 1 egg/day) and a lower cardiac event rate”. Another recent study also found that a Mediterranean diet can cut the risk of heart attacks and strokes by about 30 percent in those at high risk. Higher concentrations of vitamin D circulating in the bloodstream are linked to a lower risk of colorectal cancer, according to a large international study. The latest research, which appears in the Journal of the National Cancer Institute, was conducted by scientists from NCI, the American Cancer Society, the Harvard T. H. Chan School of Public Health and 20 other medical centres and organizations around the world. They concluded that “optimal” levels of the vitamin for colorectal cancer prevention are greater than those recommended by the National Academies of Sciences, Engineering and Medicine, which are based only on bone health. GOED are battling with the EU on a reinterpretation of the rules for producing edible and non-edible fish oils on the same plant. Yesterday, GOED was made aware of a letter from the European Commission (EC) to SANIPES, the National Fisheries Health Organization of Peru. The letter provides clarification on the EC’s position on the need to have separate production lines for fish oil for human consumption versus non-human consumption. While the letter was written in response to the situation in Peru, it is clear that oil for human consumption from any country destined for the EU will be held to the requirement of being processed on a dedicated line. GOED remains concerned that the reinterpretation of the EU Hygiene Regulations could have a devastating effect on the European Economic Area (EEA) refining industry, which is dependent on crude oil from Peru and other countries. GOED are also studying the recent Cochran review of omega-3 and heart health whose conclusion was that Meta-analysis and sensitivity analyses suggested little or no effect of increasing LCn3 on all-cause mortality (RR 0.98, 95% CI 0.90 to 1.03, 92,653 participants. Abdelhamid AS, Brown TJ, Brainard JS, Biswas P, Thorpe GC, Moore HJ, Deane KHO, AlAbdulghafoor FK, Summerbell CD, Worthington HV, Song F, Hooper L. Omega-3 fatty acids for the primary and secondary prevention of cardiovascular disease. Cochrane Database of Systematic Reviews 2018, Issue 7. Art. No. : CD003177. DOI: 10.1002/14651858.CD003177.pub3. 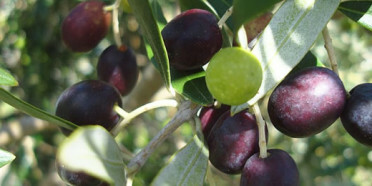 See the GOED website www.goedomega3.com. Enjoying full-fat milk, yogurt, cheese and butter is unlikely to send people to an early grave, according to new research by The University of Texas Health Science Centre at Houston (UT Health). “Our findings not only support, but also significantly strengthen, the growing body of evidence which suggests that dairy fat, contrary to popular belief, does not increase risk of heart disease or overall mortality in older adults. In addition to not contributing to death, the results suggest that one fatty acid present in dairy may lower risk of death from cardiovascular disease, particularly from stroke,” said Marcia Otto, Ph.D., the study’s first and corresponding author and assistant professor in the Department of Epidemiology, Human Genetics and Environmental Sciences at UT Health School of Public Health.